Holy cow! It’s a winner! I am beyond words as I start this blog entry. My artwork “Reflections on Heavy Metal” was juried into the International CPSA Exhibition which is displayed at The Carnegie Visual and Performing Arts Center in Covington, Kentucky through the end of August. 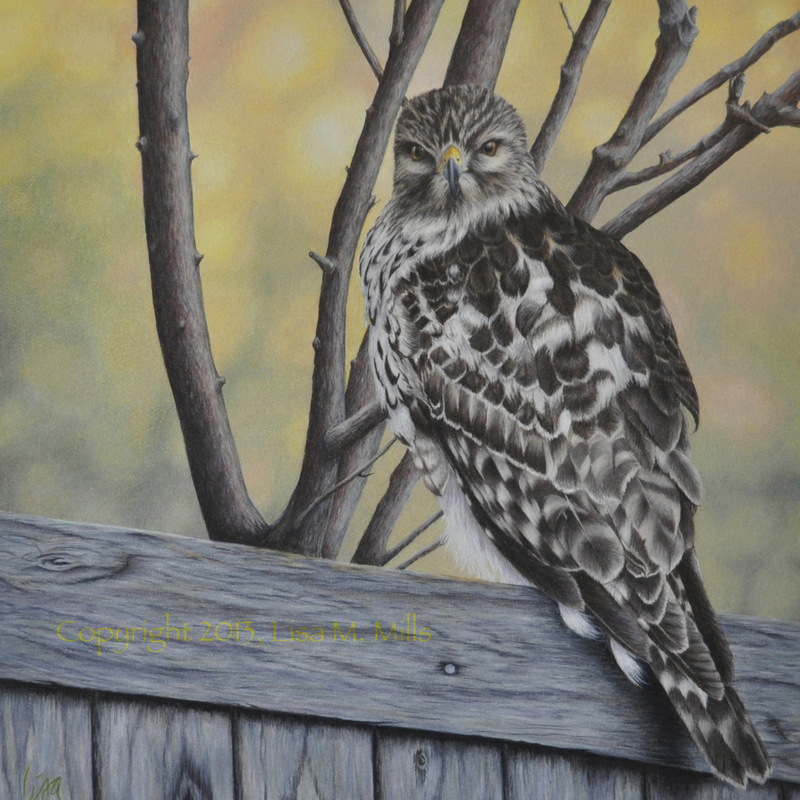 If that wasn’t enough, my artwork was one of 19 entries selected as a winner Friday evening at the CPSA Convention in Covington. I received an Award for Excellence. I was beyond words then too. There were 537 artworks entered into this year’s juried show. 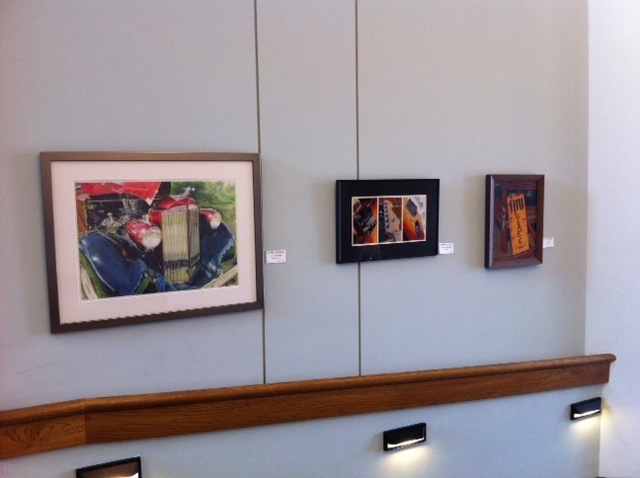 121 were selected to be on exhibit for about six weeks at the Carnegie. 19 were winners. As they said in The Hunger Games, somehow the odds were ever in my favor! I stood among artists that I have admired for quite some time. I had the privilege of sitting next to decorated and talented artist, Jeff George of California at our CPSA awards banquet Friday night. It was his 9th straight year to have a piece selected for show. He’s also a past CIPPY Award winner (that’s Colored Pencil speak for Best in Show). That’s staggering when you think of the fickle finger of fate that judges use to select artwork for these shows. I got to Covington on Thursday afternoon and allowed myself plenty of time to see the exhibit. 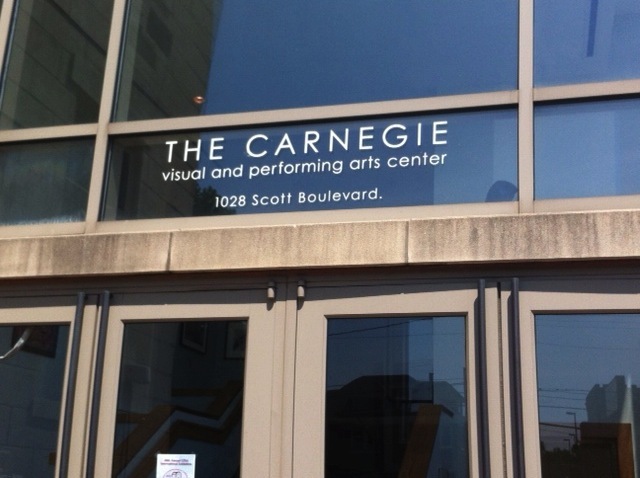 The Carnegie is a beautiful, historic building that provides a perfect venue for the display of artwork. I was really astonished at the quality of each of the 121 pieces that were selected this year. Colored pencil artists are somewhat of the Rodney Dangerfields of the art world: we “don’t get no respect.” I would challenge anyone with a thought of looking at colored pencil artwork with contempt to go see this exhibit. To me, colored pencil has more potential for diversity in style that any other single medium in art and that diversity shines in this exhibit. (Please note, that I say more than any other single medium, as mixed media artwork has a great deal of potential for diverse styles and applications.) 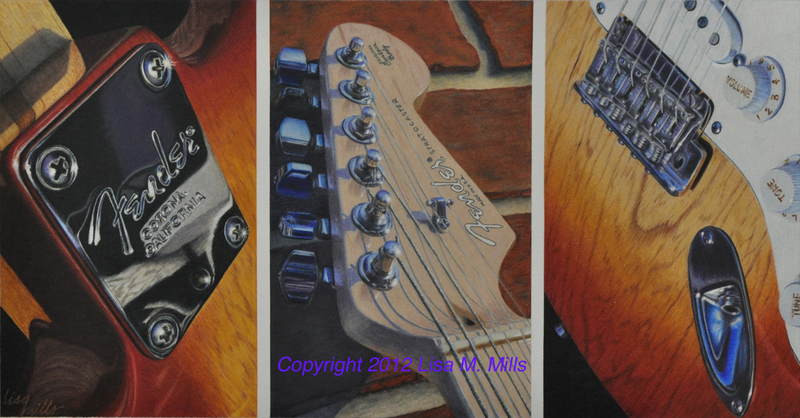 Colored Pencil art can look like pencil, colored pencil, pastel, oil, acrylic, watercolor and collage, among others. It takes a great deal of patience and time to master the medium and execute the artwork. There are so many possibilities that a colored pencil artist has at his or her disposal involving paper, boards and other surfaces, as well as any number of types of pencils and techniques one can use to carry out one’s vision. This was CPSA’s 20th annual exhibition and each year, many donors step up and give thousands of dollars to make the awards possible for the artists. This year over $18,000 was donated for the prize money which comes from art product companies, district CPSA chapters and individuals. My particular award was an Award for Excellence and it was made possible by the generous donations from CPSA District Chapter 215 (Dallas/Fort Worth – my home chapter) and DC 115 (Wilkes Barre, Pennsylvania). Thank you to both of those District Chapters who contributed funds – I am truly grateful for your generosity! I’d be remiss not to also thank our wonderful judge, Jamie Markle, Publisher and Editorial Director of F+W Fine Art in Cincinnati. Mr. Markle was very thoughtful in his process and very accessible to CPSA throughout our event. He even took the time to speak to our group on Saturday morning with words of wisdom on getting published. I know our CPSA board was thrilled to have worked with him this year. I am still trying to grasp the reality of this achievement, which for me has been about three years in the making. I picked up a colored pencil three years ago…my first time since I was in college. I didn’t know where I would be headed with that pencil, but I knew I was hooked and a passion was re-born. One of my goals is to get Signature Status with CPSA, which means that I have to have two more pieces juried in to the International Show within the next 9 years – this year’s entry provided step one. There is also the CPSA Explore This! show that is featured online in the spring. It is a mixed media show, and I would like to enter it as well to expand my repertoire. For those of you that keep up with this blog, I appreciate your interest and support! I hope you’re enjoying the journey as much as I am. 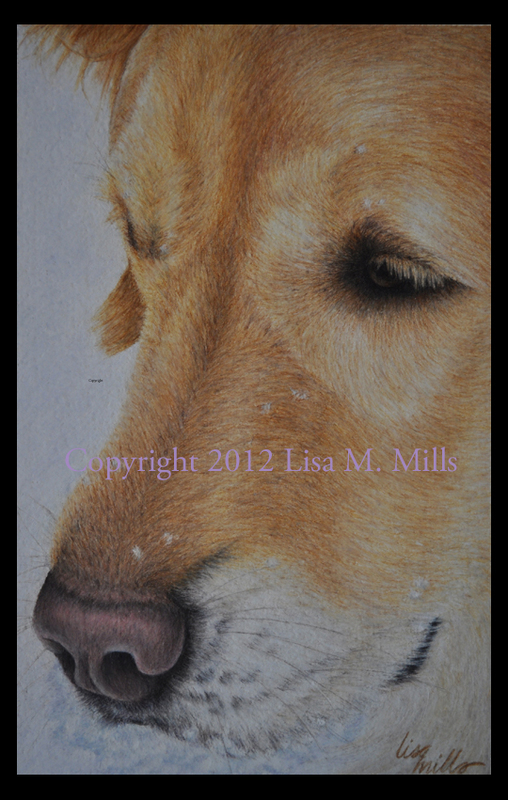 I just finished this piece that I have entered in the CPSA (Colored Pencil Society of America) International Competition. Works entered are evaluated by a judge and then, if selected (juried in) are shown at the international show and evaluated further for awards. Just being juried into the show would be a HUGE deal for me, as I failed to make the cut last year. I decided to depart from my animal art for this piece and do something completely different. This is my son’s Fender Stratocaster. It’s all in colored pencil and done on Art Spectrum Colorfix Suede paper. I loved how the paper, which has a velvety surface, combined with the wax and clay in the pencils creating a very painterly effect. Here’s the piece entitled, “Reflections on Heavy Metal.” Wish me luck in this year’s competition! The results are not out until late April.